It's winter, and as much as I'd like to say that there weren't six more weeks of winter ahead, Punxsutawney Phil saw his shadow, and it looks like we are in for cold weather for a couple of more months. Living in the Idaho desert, winters are cold and dry; making my skin dull, cracked, and scaly. The constant hand washing that comes along with motherhood, paired with the sanitizing of cold and flu season, and it becomes nearly impossible to keep my skin hydrated. 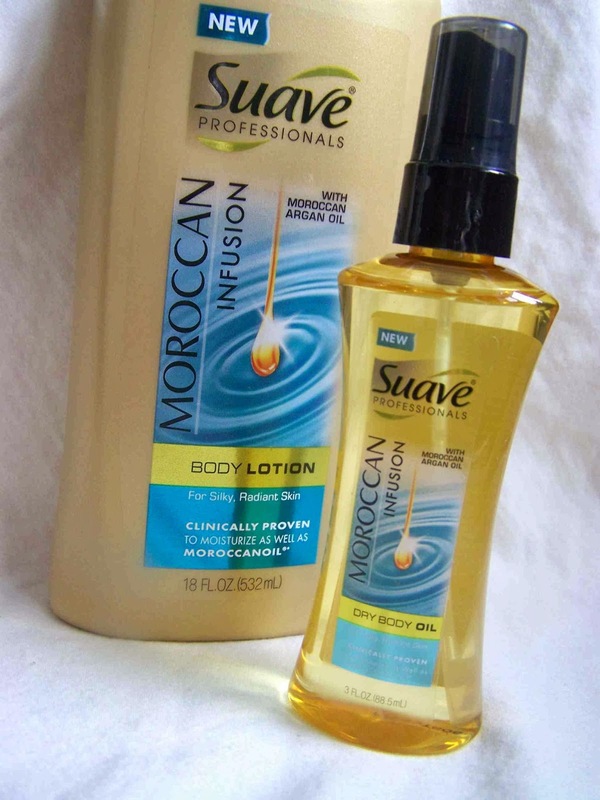 When I heard about new Suave Professionals® Moroccan Infusion Body Care line, I jumped on the chance to try it out. Non-greasy hydration is something I appreciate. I hate feeling like I can't touch delicate fabric of a sewing project, all because of my hand lotion. 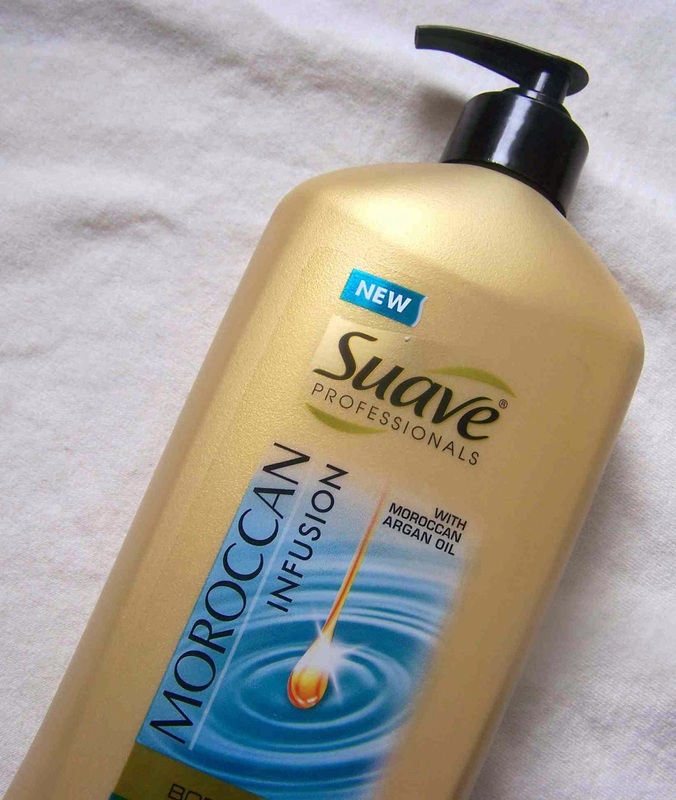 Suave Professionals® Moroccan Infusion Body Lotion does indeed absorb quickly into your skin, and it has a wonderful scent. Sometimes lotion can smell too medicinal, or overly floral, this lotion doesn't have either of those problems. It is a light and very pleasant scent. I found that it did a great job moisturizing my skin all day long. Baby oil gel had been one of my favorite moisturizers of the past, though I was often left feeling like a greased pig after application. So a dry body oil spray was something I was eager to try. It was easy to apply, and did a good job keeping my skin moisturized through out the day. Oftentimes along with having dry skin comes dull skin. The dry body oil spray seemed to add a nice subtle sheen to my skin, making it look healthier and more radiant. When summer comes, and I’m once again donning shorts, capris, and bathing suits, this will make a great addition to my beauty routine. A nice glow makes even the pastiest of legs look much better. I love the scent of the moroccan argan oil. If you are looking for a moisturizer that you can use, and still wear your favorite perfume, this is it. You can spray it on right after the shower, rub it in, and it does a great job hydrating your skin. The scent is of the dry body oil spray is lighter than that of the body lotion, but both are very pleasant. For a chance to win a $1,000 gift card, let me know which of the Suave Professionals® Moroccan Infusion Body Care products you would most like to try. or those with no Twitter or blog, read the official rules to learn about an alternate form of entry. I would like to try the body oil spray! I would like to try the body lotion. I'm interested in trying the dry oil. I've never tried on eof those. Looking for a good resource of information regarding permanent lip augmentation gurgaon? Dry body oil spray sounds interesting. I'd really love to try the Dry Body Oil Spray. I tweeted for an entry!! I'm getting the Body Lotion on my next Target run! ignore my previous post....I would love to try the lotion because I constantly wash my hands as a health care professional! I would love to try both the body lotion and the body oil spray! My skin gets really dry in the winter. Thanks! I would like to try the dry body oil spray. 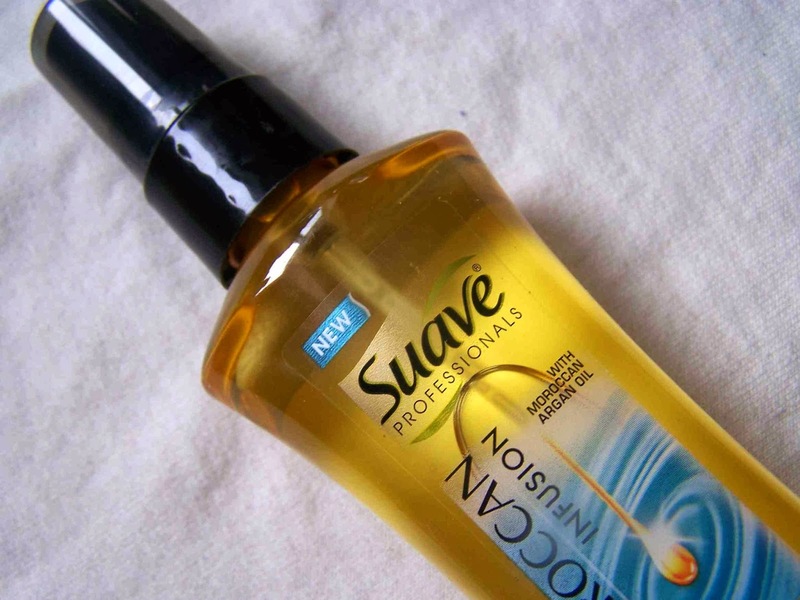 I'd like to try the Suave Professionals® Moroccan Infusion Dry Body Oil Spray. I plan on trying the dry body oil spray. It's already on my shopping list. The Dry Body Oil Spray. It would be great on my legs! I'd really like to transform my skin with both of these! But the Body Lotion sounds best! I want to try the Moroccan Infusion lotion. I'd like to try Dry Body Oil Spray. Thanks for the chance to win!